MOVING SALE! Vintage Items in the Mix! 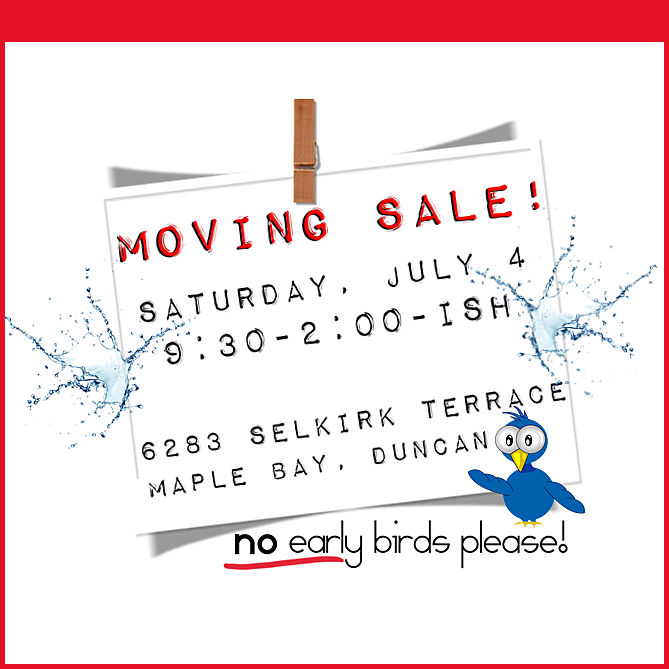 Yes, we’re having a MOVING SALE! There will be some vintage pieces and some bigger items in the mix… Pop over to our ad on Used Cowichan to have a peek at the list! Hope to see you, even if it’s just for a chat and a quick look! Next PostNext Thank You! You have Lightened Our Load!